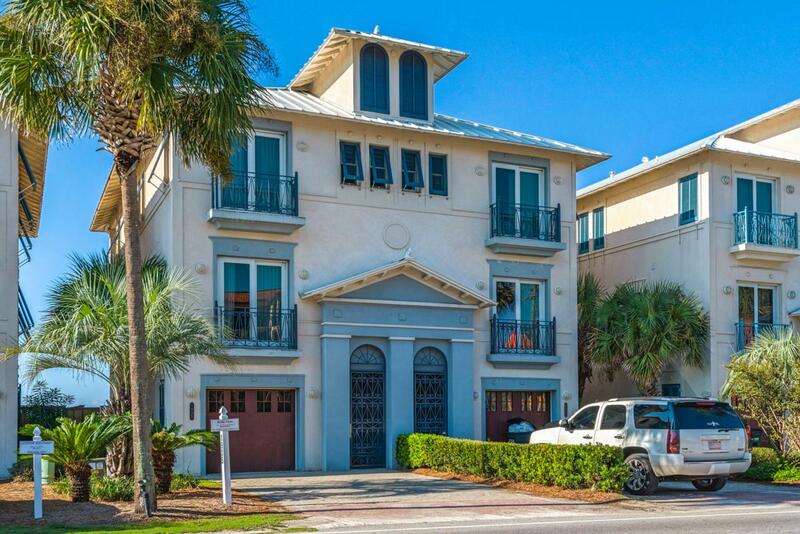 This upscale gulf front residence is located in the Frangista Beach neighborhood. Each of the 3 levels have large balconies and each level is serviced by a private elevator for everyone's convenience and ease of living. The private splash pool overlooking the gulf can be heated and adds to your enjoyment. This five bedroom unit provides plenty of room for all of your gatherings. The ground floor has a gulf front suite with a private bath overlooking the gulf and pool. This level has a second bedroom with two double bunks that will accommodate all the kids. You will also find a wet bar that can double as a coffee service area. On the second level is the main living area along with the kitchen, breakfast bar, and dining area. The well-appointed cabinets, granite counter tops, anddecorative back splash will delight all. The forever gulf views off of the large balcony will make you glad you're here. You will find another bedroom with a full bath on this level. The master suite is on the third floor and gives you expansive views of the gulf from both the bedroom and private balcony. The master bath offers a large tub and separate shower. This level has an additional bedroom with its own private bath. Fully furnished and rental ready makes this the complete package. Located close to some of the finest shopping, and dining in the area adds to your enjoyment. Come to the beach and enjoy gulf front living as it should be.